Claremont was founded in 1931 as a wholesaler of specialist textiles and trimmings to the interior design and decoration industry emerging in London. The company began with the Georges Le Manach collection from Paris and subsequently acquired the Fortuny agency for the United Kingdom in 1970. Since then, Claremont has engaged a number of small European textile manufacturers to weave on commission our unique and specialised archive. Claremont is different from other showrooms in that it holds a considerable amount of stock on the premises, particularly silks and a large and varied collection of stock trimmings. The company has never promoted itself but has gained a loyal following purely through word of mouth, and indeed supplies all of the top decorators in Great Britain. Claremont specialises in textiles which are woven by small manufacturers on old looms, therefore avoiding a mass produced feel. The range of textiles is used in both traditional and contemporary interiors and frequently by designers working on important historic houses. 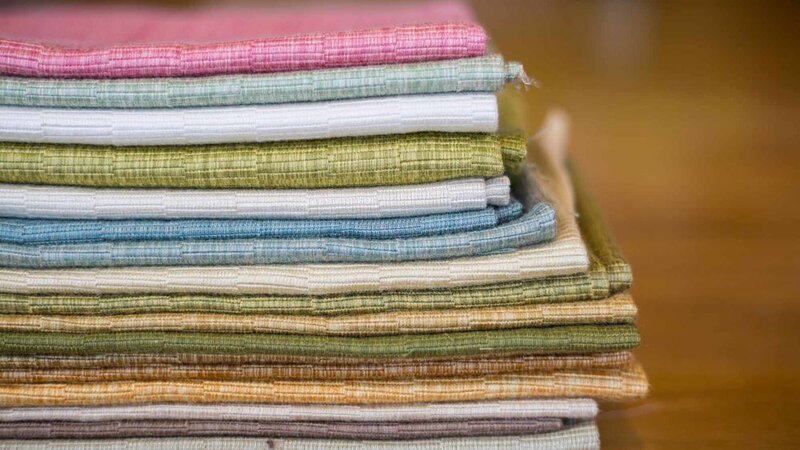 Apart from our extensive range of standard shades, we are able to custom colour most of the fabrics and trimmings if required. Indeed our textiles feature regularly, but discretely, in many of the European and American interior decoration magazines. There are three official Claremont showrooms worldwide, in London, New York and Los Angeles. Claremont's historic London showroom is located in the heart of Chelsea, representing the finest textiles from our own collection as well as Fortuny, Warner Textile Archive and Rosa Bernal.